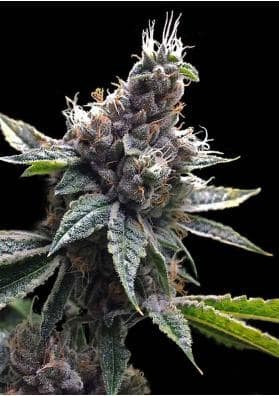 OG Kush is a feminized Marijuana strain from DNA Genetics that became very popular for its potent psychoactive and durable high. Very effective for pain relief being also used to fight against depression or insomnia. OG Kush is hybrid sativa Marijuana strains. 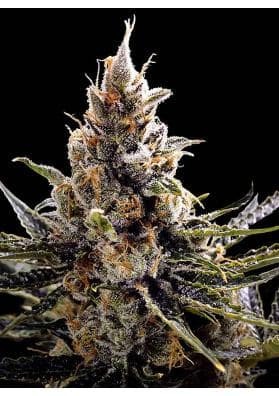 Its genetics it a bit mysterious: we know that its father is ChemDawg that can be a clone and despite its name, it is not a real Kush altough some rumors state that it harbor some Kush genes in its genome a strain (estimated to be Lemon Thai with Hindu Kush). It is particularly suitable to combat stress or to enjoy a moment of euphoria and happiness. OG Kush is very popular in Southern California. It provides a powerful psychoactive and durable effect with which you will feel extremely happy. Nonetheless, OG Kush is also widely use to relax. Considering its medicinal applications, it is widely used from patients suffring from stress. It is also effective for pain relief and can be used to combat depression or insomnia. OG Kush will also stimulate your appetite and will dry your month and possibly the eyes as well. 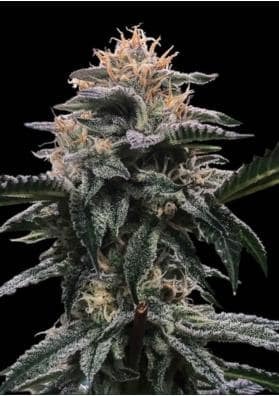 This plant does not grow much and develops olive green leaves being an ideal strain to apply the Supercropping technique that will allow you to increase your crop volume. OG Kush offers productions ranging from 400-500 grams per square meter. Although the buds are quite small, they are hard as rocks and very resinous. The taste of OG Kush is earthy with a scented woody pine.